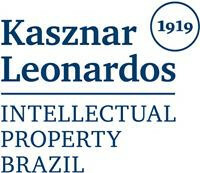 Claudio Roberto Barbosa is a partner at Kasznar Leonardos Intellectual Property. He is an attorney at law registered at the Brazilian Bar Association since 1995 and a registered industrial property agent. His areas of practice are privacy, data protection, domain names, anti-counterfeiting, technology transfer, franchising and licensing, copyright, trade secrets, patents, litigation and dispute resolution. Mr Barbosa is the head of the Sao Paulo office and is an expert in IP litigation and licensing agreements. 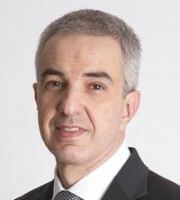 He was responsible for the creation of the Intellectual Property Alternative Disputes Resolution Centre Council, an institution controlled by the Brazilian Association of Intellectual Property, which encompasses an arbitration court, a mediation centre and a domain name dispute resolution centre in Brazil. His work in data privacy is anchored by his deep knowledge of internet and digital networks, computer programming and digital electronics and focuses on helping clients to devise strategies aiming to protect their business within the ongoing evolution of digital privacy. Mr Barbosa has been ranked by the WTR 1000, Leader’s League, IP Stars and recommended by Best Lawyers. He is a professor on a number of postgraduate courses and has written many IP-related articles. He gained a technical degree in computer programs and digital electronics in 1988 and graduated in law from the University of Sao Paulo (USP) in 1994 and has completed two LLMs, one in IP law from the George Washington University in 2000 and the other in international law from USP in 2001. He also completed a PhD degree in commercial law from USP in 2007.